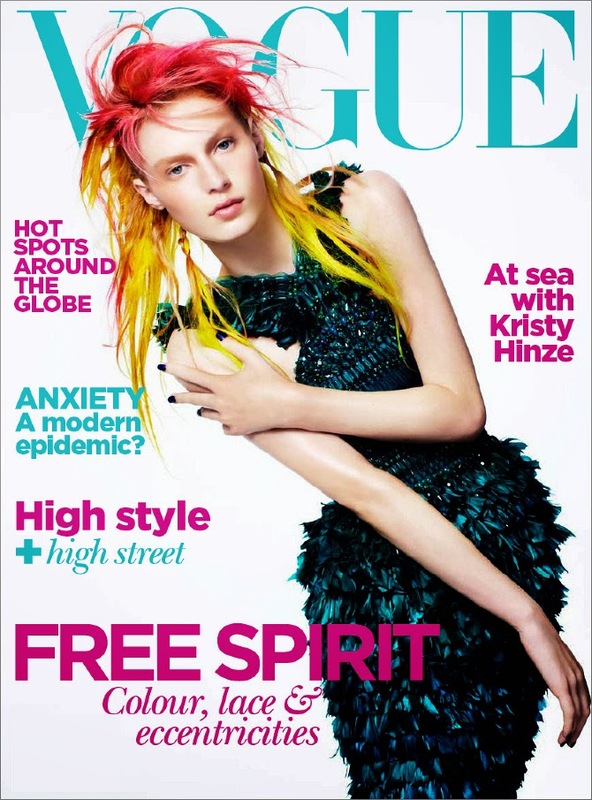 FACT ABOUT LAYOUTS: THE 'G' ON THE COVER OF 'VOGUE' IS DESIGNED TO FRAME THE MODELS FACE. 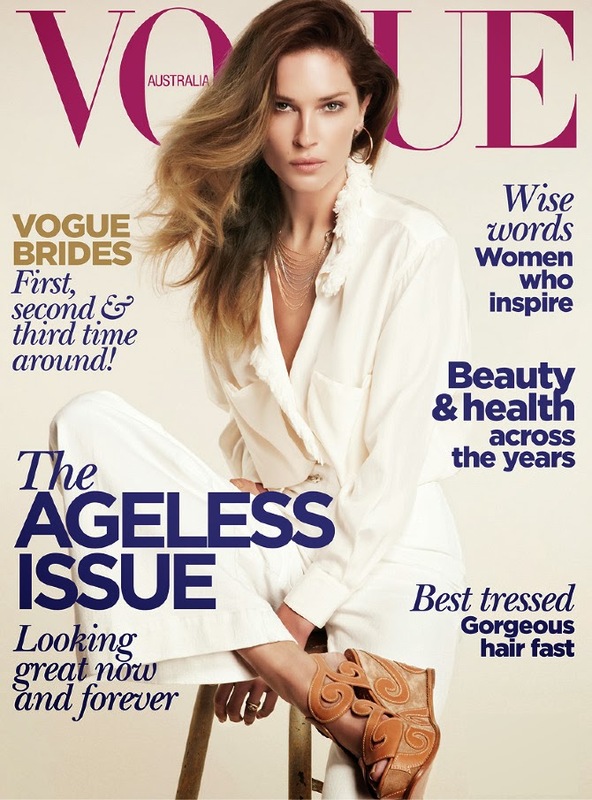 I looked into the layout design of Vogue, and could only gain information on Australian graphic designer Racquel Thomas. She has worked for Vogue for over 10 years, and has inspired many fashion magazines in recent years. Her work is bold, outstandingly clean and polished whilst maintaing a contemporary post-modern edge to her layout work. "Freelance Graphic Designer and Art Director in Sydney. Specialising in fashion magazine editorial design and still-life styling, my passion extends to producing well developed identity, branding and web design. My aesthetic gravitates towards understated design with an aim to produce polished, conceptual, and creative solutions for all types of visual communication needs. 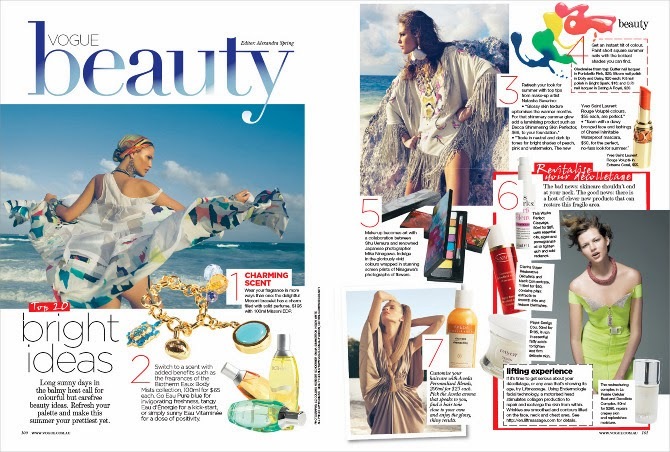 Possessing more than 10 years design experience, I have worked at Vogue Australia for over seven years, most recently as acting art director, and am currently freelancing at Harper's Bazaar Australia. I really like the collection of her work shown below. The layouts are simple, clean, typographic in many different ways and reflect a different tone and theme depending on the fashion, content and context. I like the collage style also used amongst some of the busier pages. The variations in of type are very varied and again fit themes and topics relayed within the content and imagery. I really love the type and heart shaped clipping mask for extra context to the colours, season and style. A more sharp, minimal layout compared to the one above, in order to reflect a more elegant, expensive luxury. The same also applies to the layout below. Personally I love the use of type shown on the spread below, using a gradient reflecting the colours and aesthetic of the page, whilst showing nail varnish via spills and make-up via 'using it' on the page per say. Very colourful and aesthetically pleasing with a crisp, vibrant design. Summer theme - warm, rich colours and imagery opposed to cooler, poolside spread above. As well as designing and overseeing the layout designs, Thomas is also responsible for the main type throughout the spreads and the overall cover design. 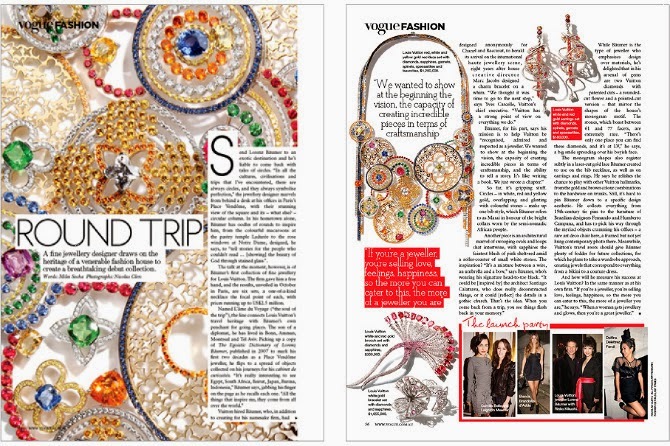 The designs are vibrant, warm, typographic and heavily photographic. The 'G' of the 'VOGUE' is standard feature for framing the models face -- everyone knows when you see VOGUE just by the type of the logo. I really love the cover and colour scheme of this Australian edition shown above. The background of the photography allows the type to stand out just enough not to overwhelm to image used. A very vibrant, colourful cover! Visually exciting. Rich colours used throughout the cover type complimenting the cream background and fashion styling. Clean cut, futuristic colours - sharp, elegant, rich, alluring. Personally love this cover above any of the overs above which Thomas has designed, due to the bright, vibrant colours, as well as the use of hand rendered type. Very eye catching and very aesthetically pleasing. Very unusual and stripped back compared to the other covers usually published. Again a very rustic, latin vibe is being shown through Spanish imagery, colour, and styling, as well as the use of language and type/colour. More minimalistic approaches to layout with emphasis on typography as a reflection on the theme and photography at hand. I find Thomas' work very inspiring and gives a clear cut image of the style of layouts used across international Vogue.